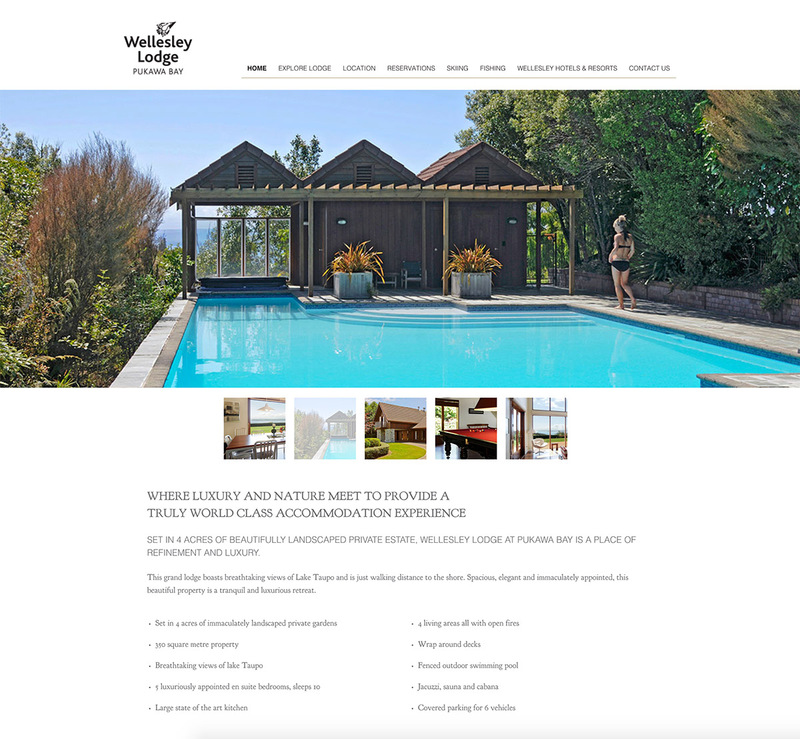 A visually stunning website for Wellesley Lodge Pukawa Bay in Turangi highlights their luxury facilities. Being mobile responsive makes it easy for people to make reservations on any device. Website built by Superstar Websites​. Design by Creative Mouse Design​. © 2014 Superstar® Software Ltd trading as Superstar® Websites | All Rights Reserved.